700 square feet dog run allows full freedom for your dogs as they spend the day with trained pet care specialists. Weight limit up to 35lbs and subject to temperament test. Heading out of town? Have no fear, we offer cageless boarding. Pets are supervised and cared for 24-hours a day by our loving pet care specialists. 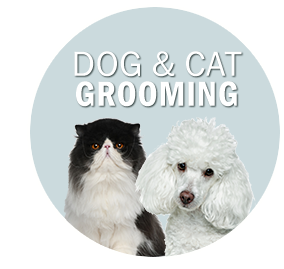 We offer full-service dog and cat grooming for all sizes. Make ensure your pets stay clean and fresh with baths, haircuts, dental and nail treatments. Available by appt.